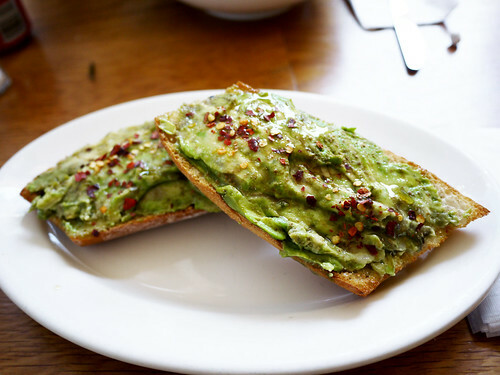 In brief: Tiny seating has put the Commons Chelsea off our radar for a while, but now that it's warm and bulky coats can be consigned to storage, we stopped by for avocado toast because it's precisely what M. was craving for lunch. I have been wanting an intense caesar salad dressing for awhile now, something garlicky and not too creamy, and that's precisely what the kale caesar salad is like at the Commons. The chicken fell on the bland pale white side but the rosemary croutons quite made up for that.